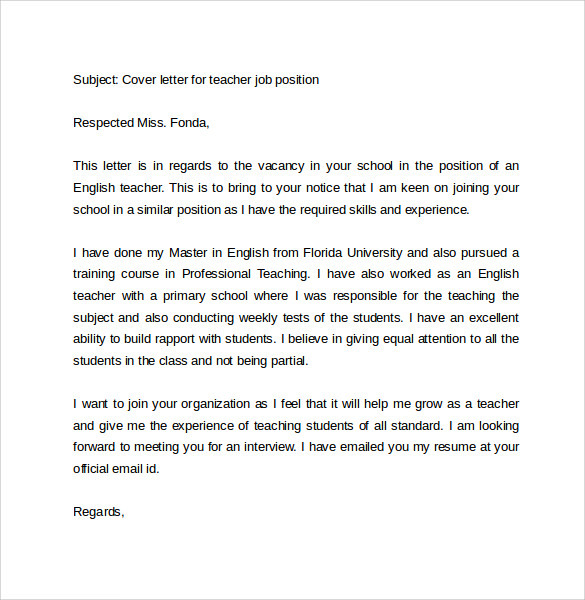 We live in world that has become technologically dependent and a lot of companies accept email cover letters. 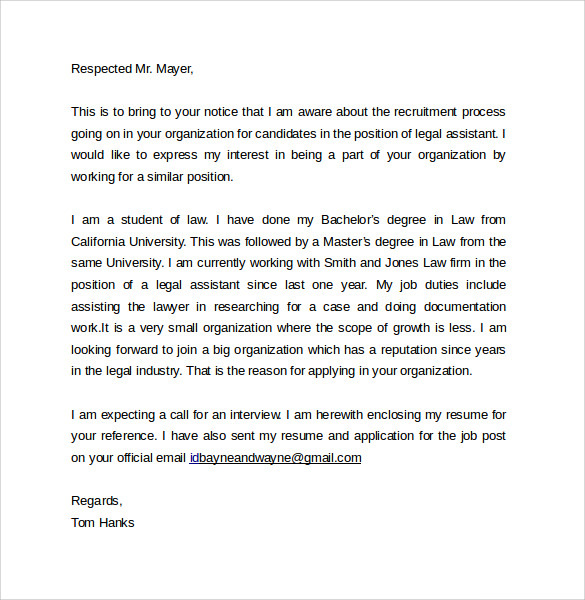 Following the company’s rule on how the cover letter is to be submitted is decided by the company. 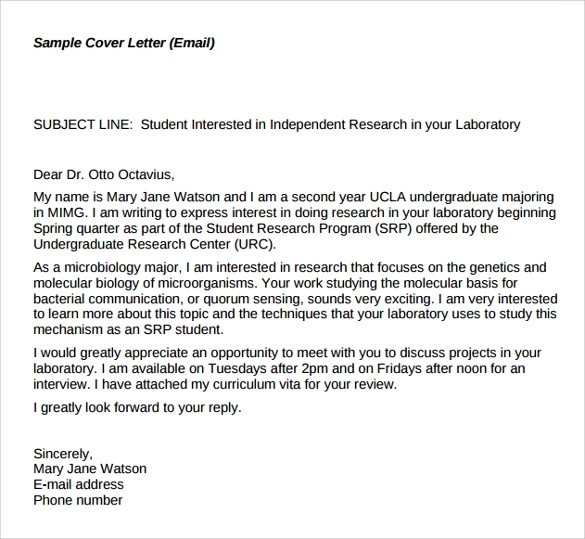 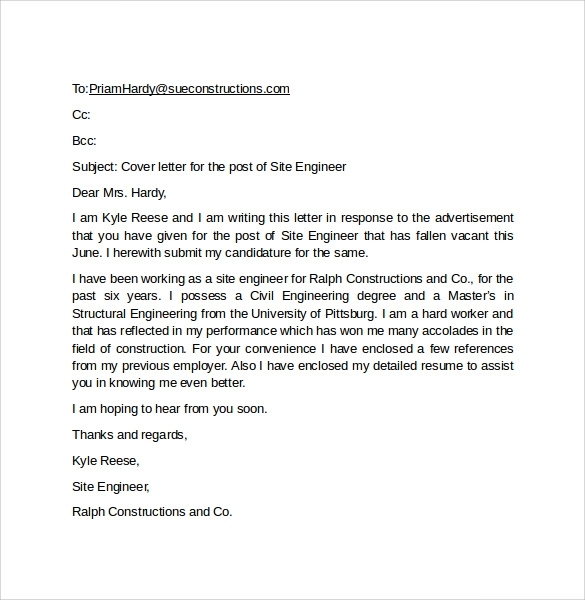 The title of the post that you are applying for must me mentioned in the subject or in the first line of the email designed. 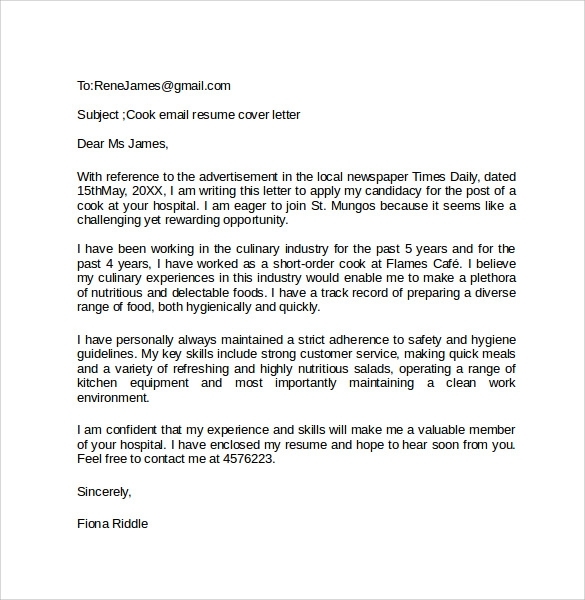 Writing about previous experiences if any is fruitful, and in the conclusion conclude by statements like, ‘I look forward to hearing from you” etc. 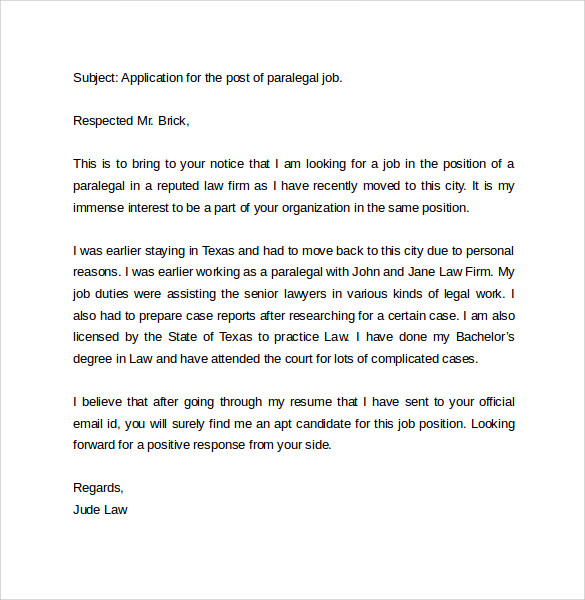 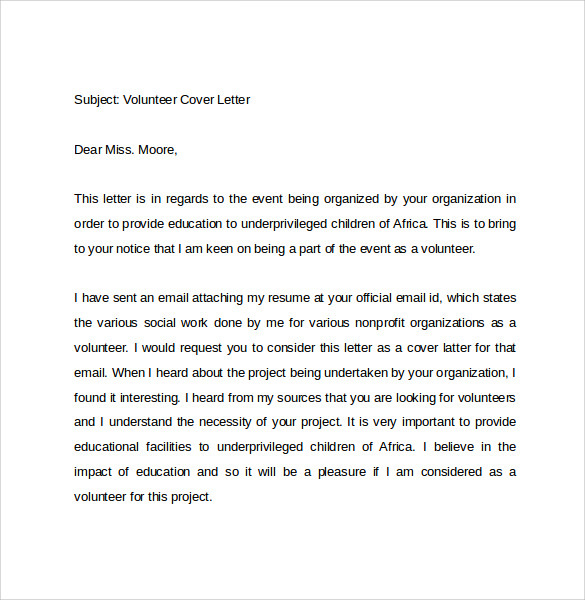 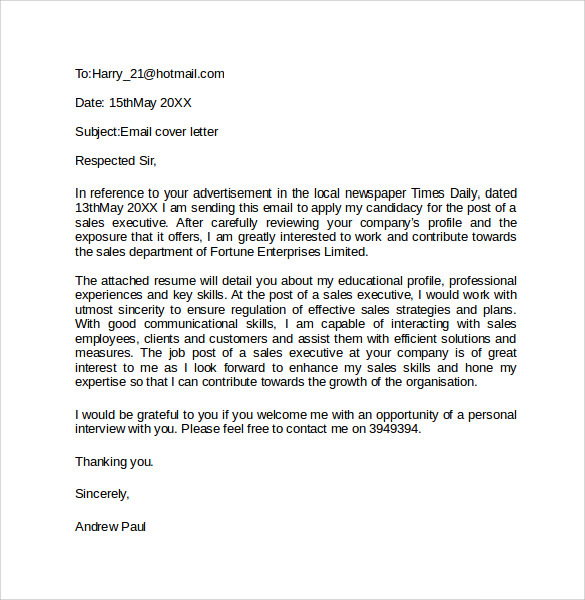 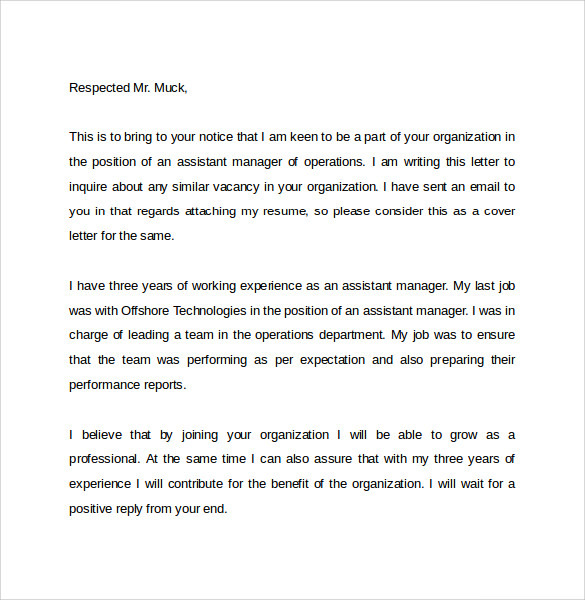 Such Email Cover Letter Examples can be downloaded in pdf or word formats.